A lot of people had a lot of opinions—positive, negative, and dumb—about the recently released Ghostbusters trailer. But the one that’s probably been generating the most discussion is the claim that it was retrograde, if not overtly racist, to cast the black Leslie Jones as a street-smart MTA worker while the three white leads play scientific professionals at the top of their fields. 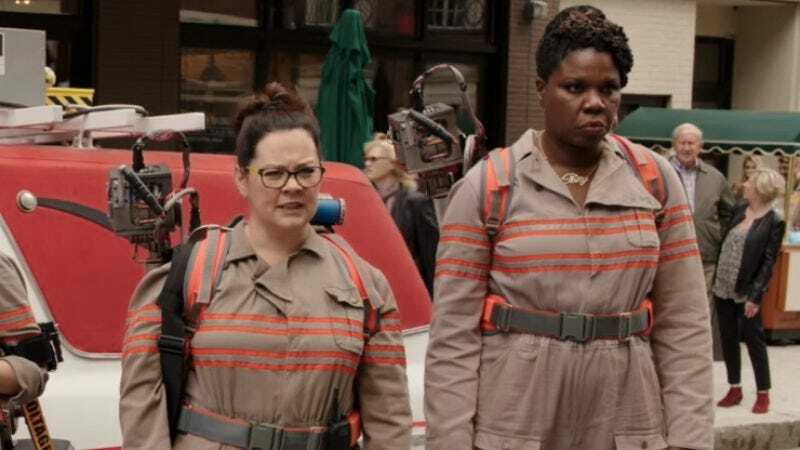 However, an interesting wrinkle was added to this controversy when the film’s director and co-writer Paul Feig pointed out in an interview with Empire, apparently conducted before an online backlash resulted in Jones threatening to quit Twitter, that Jones’ role was originally written for her co-star Melissa McCarthy. On Tuesday, after the controversy had reached its zenith, Feig hopped onto Twitter to defend his cast member.